Trips depart Hahei Beach in front of the main car park. 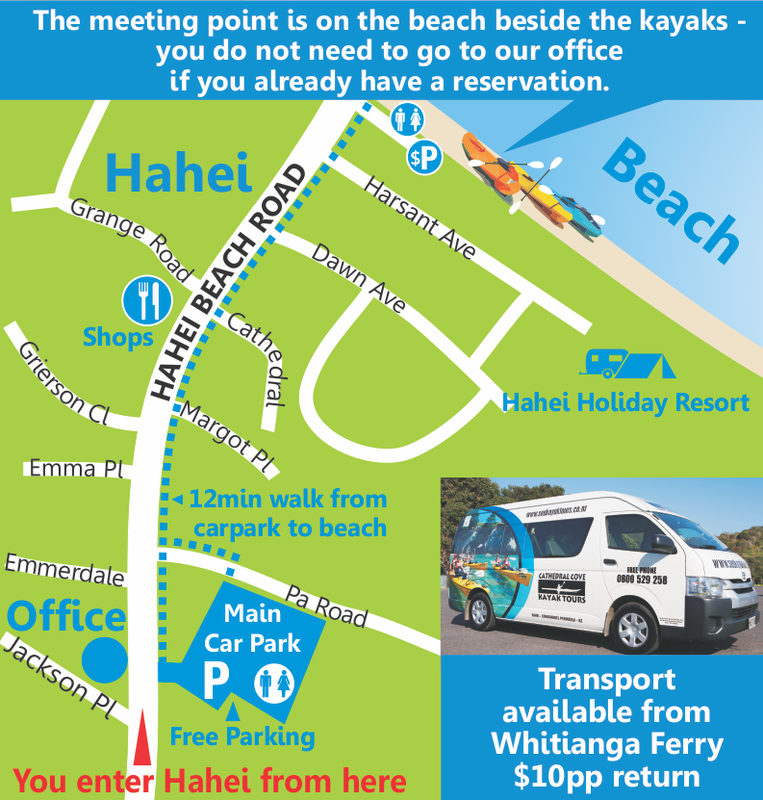 Transport available from Whitianga Ferry $10pp return. Please note: Sometimes mother nature may force us to cancel or change trip itineraries without notice. For more information see our cancellation policy.